GOD, WE AS YOUR PEOPLE, AS A PEOPLE WHO LOVE YOU, GATHER THIS EVENING AS THE COMMUNITY – THE FAMILY – AS YOUR CHURCH – THAT TOGETHER WE MAY BEGIN OUR WALK WITH THE CHRIST TOWARD JERUSALEM. AS WE TRAVEL THIS JOURNEY WE KNOW WE ARE WALKING WITH THE CHRIST TOWARD RESURRECTION. AS WE WALK THIS JOURNEY AS YOUR CHURCH WE KNOW THAT WE WALK IT WITH OTHERS WHO BELIEVE, TRUST AND AFFIRM THAT YOUR PERFECT PRESENCE IS WITH US ALWAYS. WE WALK IT TOGETHER KNOWING THAT IN COMMUNITY THERE IS STRENGTH AND THAT WE ARE BLESSED WITH A FIRM FOUNDATION ROUTED IN THE PROMISES AND MIRACLES OF GOD. WE ALSO WALK THIS JOURNEY TOGETHER WITH EXPECTATION. KNOWING THAT YOU GOD ARE ALWAYS SO MUCH GREATER THAN OUR CURRENT UNDERSTANDING WE COME WITH OPENNESS AND HUMILITY THAT OUR RESPONSE TO YOU MAY ALWAYS BE “YES,” AS YOUR RESPONSE TO US IS ALWAYS GRACE. THIS JOURNEY IS A SACRED ONE WE EXPERIENCE. WE KNOW THAT ALONG THE ROUTE THERE IS MUCH FOR US TO LEARN, TO BEGIN TO UNDERSTAND AND TO EXPERIENCE. IN SEEKING TO TAKE IT ALL IN WE KNOW YOU LIFT US ABOVE THE UNCERTAINTIES OF LIFE, AND PLACE US DOWN AGAIN ON HOLY GROUND. WE KNOW THAT THERE MAY BE TIMES OF DARKNESS THAT CHALLENGE US, BUT WE ALSO KNOW THAT AFTER THE DARKNESS THERE IS ALWAYS PERFECT LIGHT TO RENEW US WITH DIVINE HARMONY AND PEACE. AS WE HONOR THE CHRIST PRESENCE WALKING WITH US LET US GO SEEKING MORE TO UNDERSTAND, THAN TO BE UNDERSTOOD. WE GO AS SEEKERS, SEEKING TO BE INSTRUMENTS OF PEACE IN A TROUBLED WORLD. LET US GO SEEKING TO BE AMBASSADORS OF CHRIST’S UNCONDITIONAL LOVE TO ALL THOSE WE ENCOUNTER. WE ARE ALL YOUR CHILDREN, AND YOU LOVE US ALL DEEPLY WITH A BENEVOLENCE WE DO NOT ALWAYS DESERVE. 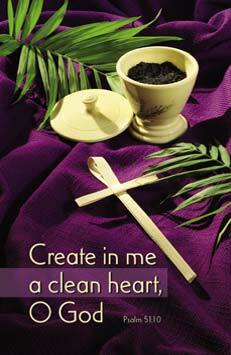 MAY OUR JOURNEY OF LENT BE ONE NOT OF PASSIVE IDLENESS, BUT ONE OF TRANSCENDENT ACTION. AN ACTION THAT REACHES OUT TO FIND YOUR LOST SHEEP AND BRING THEM HOPE. BLESS US AS WE WOULD SEEK TO BE BEACON’S OF HOPE TO THOSE WHO ARE IN DISPAIR, INSTRUMENTS OF COMFORT TO THE GRIEVING – AND LOVING OPEN ARMS TO THE LONELY WHO CRY OUT FOR YOUR HEALING EMBRACE. HELP US, OH GOD, TO FIND COMMON GROUND WITH ALL HUMANITY THAT TOGETHER WE MAY EMERGE AS ONE PEOPLE, CHERISHED, LOVED AND ANOINTED BY YOU FOR A DIVINE PURPOSE. HOLD US BY THE HAND LORD THAT WE MAY NEITHER STUMBLE NOR FALL. HELP US TO REACH OUR DESTINATION, EASTER, WITH BEAUTIFUL SHOUTS OF HALLELUJAH – SO THAT OUR LIVES, OUR COMMUNITY AND OUR WORLD MAY BE FOREVER CHANGED TO EXPERIENCE AND CELEBRATE YOUR KINGDOM ON EARTH AS IT IS IN HEAVEN. Spring is about to burst upon us. Not any time too soon for our friends east of Southern California. They have had a long, and in some cases, hard winter. Winter reminds me of a time to turn within and connect with the power and presence of God. A time for contemplation and reflection. Spring reminds me of a time to burst forth. It is time to act on those new ideas and strengths that we received from God during that fallow time, that winter, of reflection, prayer and deep inner thought. But our “winter” must always be followed by action. We must do something, perhaps physically, perhaps mentally and spiritually. We must allow ourselves to be moved. Allow ourselves to be changed and allow ourselves to emerge renewed in the Spirit of God. Spring is useless without there being real change for the better. I think of the caterpillar happy and comfortable in its cocoon. The caterpillar, that little being with such a limited and small world. Finally it begins to break forth from that cocoon. The beginnings of that breaking out must be frightening. Suddenly there is a whole new world visible to it and this is indeed a world of the unknown. Scary. What might it be like? What is to be expected? But, the little caterpillar continues to explore what is outside and allows the evolution of God to take hold and transform it into being all that it is meant to be. And what happens? A beautiful butterfly emerges, able to fly and soar and experience a vision of the world that was never before available to this tiny insect. This is how we are to emerge from our winter of discernment and reflection. This is how we are to emerge to be all that God would have us be in the world. The butterfly now takes action, and so must we. Not sure how to go forth in action? Ask God. Ask what is next for you. Ask how you should move forward to make your life, your community and the world a different place. Ask God to reveal to you in the clearest, most beautiful and comforting way the results of those seeds you planted during the “winter” in your mind and heart. When you ask, you will receive. You will be amazed and delighted by the many wonderful ways God shows up in your life. Winter is not only a time of contemplation and reflection on what is to be new, but it is also a time to discern what we can release and let go of in order to make way for exciting new possibilities. Let go of the cocoon that binds you. Cherish your time of winter and relish your time of spring. Not just the calendar season, but the seasons of God’s spirit that continue to flow through you all year long. Oh, and one other thing. Remember to have gratitude. Remember to give God continual thanksgiving that right now and always you are blessed in such a beautiful way. Thank God that where once you were limited and your world was small, now you can soar, fly, and be all that you were created to be. What I especially love about this passage is when Jesus commands us to be “humble.” This means to be “teachable” and so it makes me think, are we, as adults, being teachable and what are we teaching our children? By our words, our actions and our motivations are we teaching our children to worry as we do? Do we teach them to doubt the presence of God moving in their lives? Do we teach them that there is little hope for our future and life is constantly a struggle? Did you know that the words “worry” and “anxiety” have their roots in “choking” or “being strangled.” If this is what we are teaching our children by how we live our lives then we must stop, right now, right where we are, and do some major reevaluation of our relationship with God/Spirit. God is a God of blessing, grace, abundance and possibility. God is a God of hope and our constant companion through life. Children begin their lives without having learned negativity because they are so connected with God by nature. 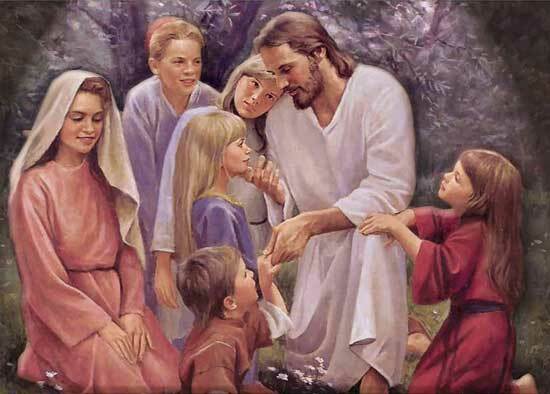 Children understand, on a deep level they probably could not yet verbalize, their oneness with God. Their belief has not yet been clouded with our adult doubts, fears and burdens. It becomes our responsibility to not be “stumbling blocks” to them, as Jesus warns. We must not teach them to “choke off” the flow of God/Spirit, but teach them through our faith and actions the great truth of an abundant life that can be ours if we would just trust in the power of God right where we are. Jesus asked us to be “humble/teachable” like a child. So stop and allow God to nurture you, to bless you and to anoint you anew today. Stop and allow yourself to be teachable. God will show you the wonders of a new life walking with Spirit. 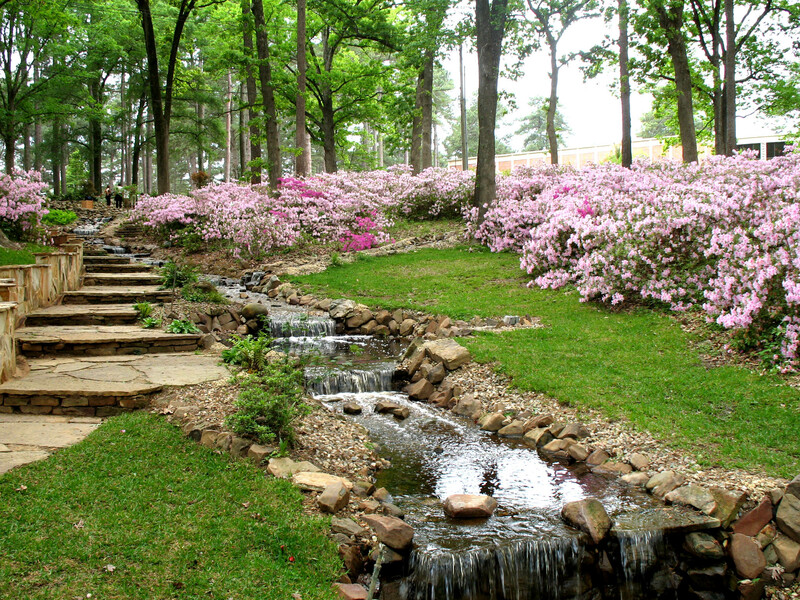 We all wish to experience “heaven on earth” as we would proclaim in the Lord’s Prayer. (“On earth, as it is in heaven.”) Children are born with this. Let us re-experience it right now, today and always.